The ancestry lines of Marjorie Harvey nee Adams family are, according to the England Census from 1841 to 1901, heavily populated with agricultural labourers and domestic servants. 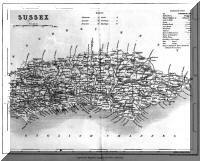 The maternal history of the family is around the Southwater/Horsham area in Sussex for all of the 19th century. The following history was collaborated by research by Ann Gordon, granddaughter of Charles Adams. Marjorie Harvey (nee Adams) has also provided information about James and Matilda Adams. The earliest public record found of the paternal Adams branch is Henry Adams, born about 1795, living in Coolham, Shipley, in the county of Sussex in the 1841 census. Henry, an agricultural labourer and his wife Mary (married 7th July 1824), born about 1801, had 4 children, with Friend Adams, born November 1840, being the youngest at only being 6 months old. In 1851, Henry and Mary lived in Shipley with their youngest son 10 year old Frederick (Friend’s name misspelt). Mary died in 1857 and by 1861, Henry and Friend where sharing a house in Coolham, with a housekeeper Ann Knoles. The occupation of both men was recorded in the census as agricultural labourers. Friend married a local girl Emily Randell (born about 1842 in Shipley) in the April- June quarter in 1866, in Southwater, leaving Henry to lodge in the local area as a widower. In 1871 Henry was lodging with a young couple (Frederick and Jane Venn) and still working in the fields. He died in the last quarter of 1879, aged 84. Emily Randell’s family surname was spelt differently through the various censuses and death records, but, with 10 brothers and sisters, tracing Christian names and birth years over the censuses there is some consistency allowing the history from 1841 to 1861 to be added to the Ancestry family tree. Her father Michael died in 1870, but it’s uncertain when her mother Mary (nee Rapley) died. Mary’s family history is unclear – there are two possible candidates for William Rapley in the area – one dying in 1841 and another in 1859, the latter living in the Thakeham Workhouse as a pauper from at least 1851. Though he began working life as an agricultural labourer, by 1871 Friend had changed his occupation to being a railway labourer. He followed this “industrial revolution” occupation for this rest of his working life. 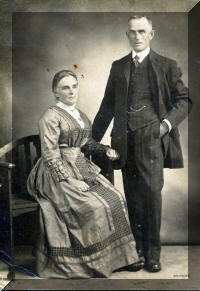 Friend and Emily had 3 children by 1871, being James born about 1867, Frend about 1869 and Fanny only 2 months old. Friend and Emily had 7 children by the 1881 census and they were living in Worthing Road, Horsham, nearby to Shipley. The additional 4 children born between 1871 and 1881 were Amy (about 1873), George (about 1875), Laban (about 1877) and Ellen (about 1879). The 1891 census records the family living at Swains Cottage, Bonfire Hill, Horsham, with Friend’s occupation being “railway labourer – plate.” Two more children were born in the 1881 to 1891 decade – Kate in 1882 and Frederick in 1885 – bringing the total number of children to 9. Ellen, aged 12, and Amy, aged 18, are believed to be working as domestic servants and living away from home. There is a James Adams, age 24, working as a Platelayer and lodging with a family in Reigate, Surrey. In 1901, Friend and Emily were living in Two Mile Ash, Southwater and Friend, aged 60, was still a plate layer for the railways with two sons and a boarder. Laban at 24 had an occupation of a “navvy” (unskilled labourer) and Frederick, 16, was a stockman on a farm. In 1911, Friend was a widower working as an assistant in a General Shop at 40 Queen St. Horsham, owned by a widow, Mrs Naomi Welles. Friend boarded with Mrs Welles in a residence attached to the shop. Frend Adams married Alice Mary Geal (born 1867 in Pulborough, Sussex) in 1889. In the 1891 census they were living in Birchwood Cottage, Bonfire Hill, Horsham with their first child, Emily Ann, born on 1890 and aged 1. Frend was an agricultural labourer. In the 1901 census, Frend and Alice were living at 22 Worthing Road, Horsham with their family of 4 children (Emily Ann, Edith Kate, born 1892, Mary, born 1894, George, born in February 1897 but died in May of convulsions, James born 1898) and two lodgers, one being William Potter, the second husband of Alice Mary’s mother. Frend’s occupation was recorded at “carter on farm.” Their last child, Charles Edward, was born in 1902. Unfortunately they lost their oldest child Emily Ann to scarlet fever in August 1906. Emily was working as a domestic servant at the time. In 1911 Frend had moved from Horsham to Chartham Cottages, near East Grindstead but he was still a carter on a farm. Edith Kate, aged 19, was in the workforce, as a servant at St. Saviour’s College. In World War I James joined the Army. Between 1911 and 1920, he moved his carting business away from agriculture and begun delivering coal in the Balcombe area, establishing a successful coal merchant business that gave them a good lifestyle for the times. The business operated out of the backyard a duplex in Mill Lane, Balcombe, one property called “Rose Villa” and the other “Highcroft." Friend and Alice lived in Rose Villa. 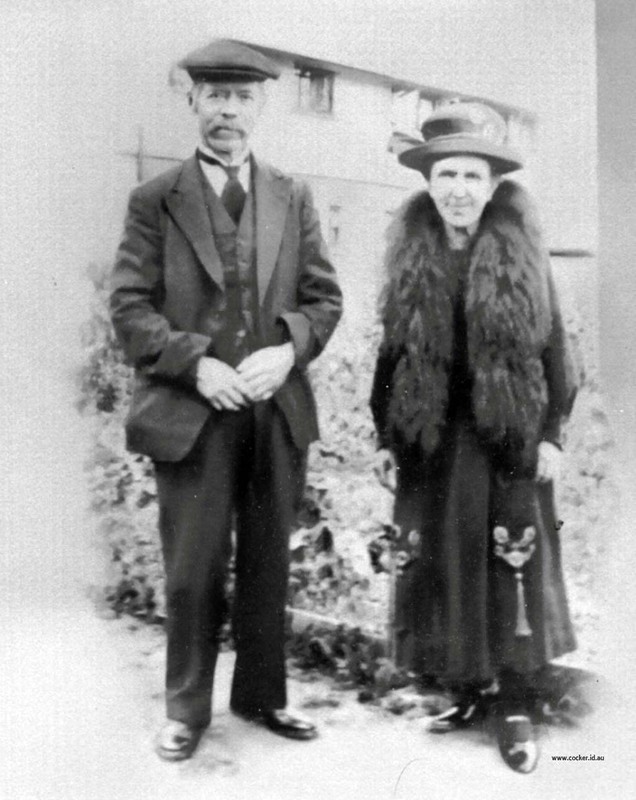 James and Matilda lived in Highcroft after their wedding in May 1924. The boys James and Charles worked with their father in the business after they grew up. The business was so successful that they were able to help their daughter Edith and her husband Robert Sheppard to build a bungalow in Balcombe with money. Edith and Robert’s son Norman (born about 1936) immigrated to New Zealand in the 1970’s. 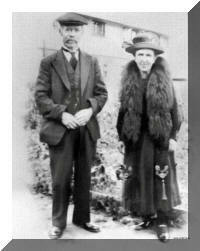 Mary and her husband Walter Warnett (married 31 August 1927) also benefited from Friend’s largess when he helped them buy a home at Burgess Hill. Mary had an illegitimate daughter, Dorothy born in 1920, who Walter adopted after their marriage in 1927. Mary did not tell Frend and Alice about Dolly. Rather they found out about her when Frend paid a surprise visit to Mary. Dolly also developed rickets because Mary left her in a high chair whilst she worked. Walter worked his whole working life as an orderly at Chailey Heritage Hospital in Sussex. Another daughter Betty, who married Edward Reading, immigrated to Australia in 1964, sponsored by Charles Adams, settled in Brisbane. Mary visited her daughter Betty and brother in Australia in 1968. Charles worked in the family business and lived with his mother and father in Rose Villa. He fell in love with Dorothy Baldwin, born in New York 2nd July 1909 who he married 1st July, 1936 in Hove, James was his best man. There is a story of the newly married Charles and Dorothy shocking the neighbours of Highcroft by chasing each other around the bedroom with curtains open. The family was shocked. Given Matilda’s upbringing in the houses of the wealthy in which her father worked, she was somewhat prudish. Charles left the business after 1936 and worked in his father-in-law’s pub (The Plough & Horses, Jarvis Brook, Crowborough, East Sussex). He, Dorothy and daughter Alice Fay (born March 1939 and known as Fay) immigrated to Australia in 1952. Charles and the family lived in Melbourne initially, then Toowoomba in Queensland. Ann, who has provide information about the Adams – some new and much collaborating Ian’s research, was Fay’s daughter by her first marriage to Henry Keachie. Frend died 20th February, 1934 in Balcombe. He left the coal merchant business to James and Charlie, and gave his daughters £600 each from his estate. Alice Mary did not live long after Frend’s death, dying as a result of injuries she suffered to her head after she was knocked down in Balcombe by a bicycle in 28th October 1935. Alice Mary Geal’s family were also agricultural labourers. Her father George Geal was born in 1840 in West Chiltingham. 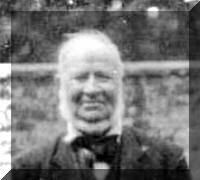 His father, also named George, was an agricultural labourer in 1841 at “Wapthal Gate” and the family consisted of George Senior, Emily (nee Morgan), Stephen, born about 1837 and George junior, born in 1840. In the 1861 census, George senior and Emily had nine children and George junior was an agricultural labourer. The 1850’ies were a busy time for George and Emily, with seven children born between 1849 and 1861. In 1871, George and Emily were living in Olders (Road, Street or house name), West Chiltington. In 1881, George and Emily were still in West Chiltington, farm labouring and only a few doors up from George junior, his wife Sarah Ann and Alice Mary, who was recorded as a scholar. In the 1891 census, 9 years before he died in 1900 and aged 77, George senior was still labouring and he and Emily still lived in Olders. Sarah Ann remarried on the 30th May 1885 in St Mary’s Church in the parish of Billingshurst, her daughter Alice a witness. Her second husband was William Potter who, like Sarah, was born in Pulborough (born 1848). William was an agricultural labourer in 1881, living with his parents in Hole Cottage, Pulborough. In 1891, Sarah and William lived in Shipley on Baker’s Farm. Sarah died in Aug 1900, aged 52 of cancer. At the time Sarah and William were living in Low Barn Itchingfield, near Horsham. In 1901, though still a farm labourer, William was boarding with Frend and his step daughter Alice Mary Adams in Southwater. 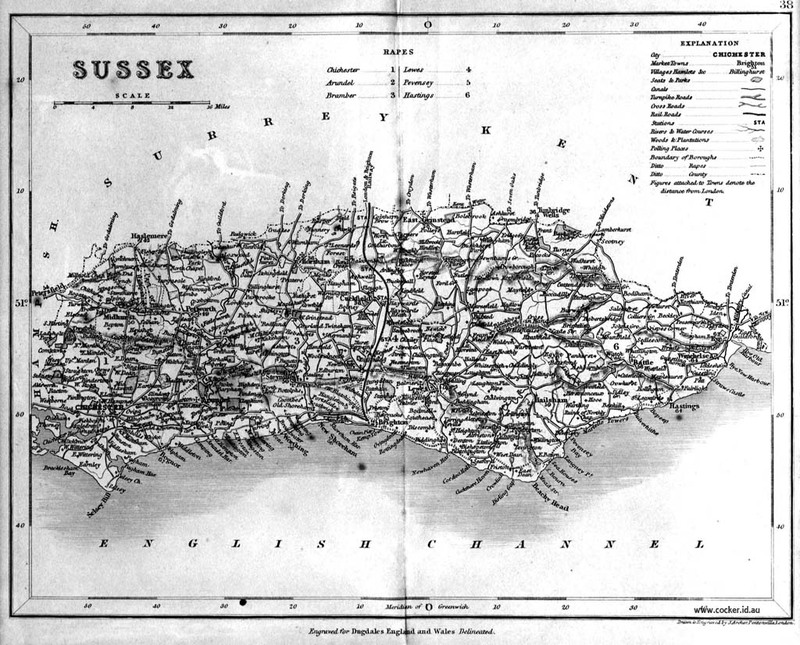 Sarah Ann’s family were from the same area of Sussex. Her father James Penfold was baptised 16th July 1820 in Pulborough, the son of James and Sarah (nee Collins). Her mother Emily Willard was born in 1820 and baptised in Pulborough on 6th February, though according to the Census records, her birth year ranged from 1816 to 1820. The only record in the Parish Register which comes close to the known details of Emily is of a child called Emma. If Emma is Emily, her parents were James (born in 1797 in Pulborough), an agricultural labourer, and Mary Briggs (born in 1798 in Billingshurst), married in 1818 in Thakeham. James Willard was the illegitimate son of Ann Willard (born in 1776 in Pulborough). Ann Willard was the daughter of Robert Willard and Mary Wild. Family researchers have traced the Willard family as far back as Richard Willard, born 1650 in West Chiltington. Emily Willard had a daughter Ellen (born April - Jun, 1841) prior to marrying James Penfold in November 1844. When Ellen was born, Emily was living in the Thakeham Workhouse with the baby. There is an 1841 census record of a “Jas” (short for James?) Willard in 1841 married to Mary with other children. Presumably James and Mary had kicked Emily out of the house on getting pregnant to some local lad! At the time of her marriage to James Penfold in 1844, Emily was 24 and a domestic servant. Sarah Ann was the second child of the six that Emily and James had. James was working as a brick maker at the time of his marriage and in the 1861 Census, having followed his father into the profession but he was an agricultural labourer in later censuses. There are records of the family in 1851 and 1861 Census but in the 1871 and 1881 Census, Sarah Ann’s father was a lodger working in agriculture and her mother was a housekeeper - living separately from each other. James and Emily recorded themselves as married in all the censuses but were never reported together from the 1871 to the 1891 census. What was the cause of the separation? In 1871, Emily was living in the Storrington household of an agricultural labourer James Joyes, born in Pulborough in 1812, with her 15 year old daughter Mary Jane. 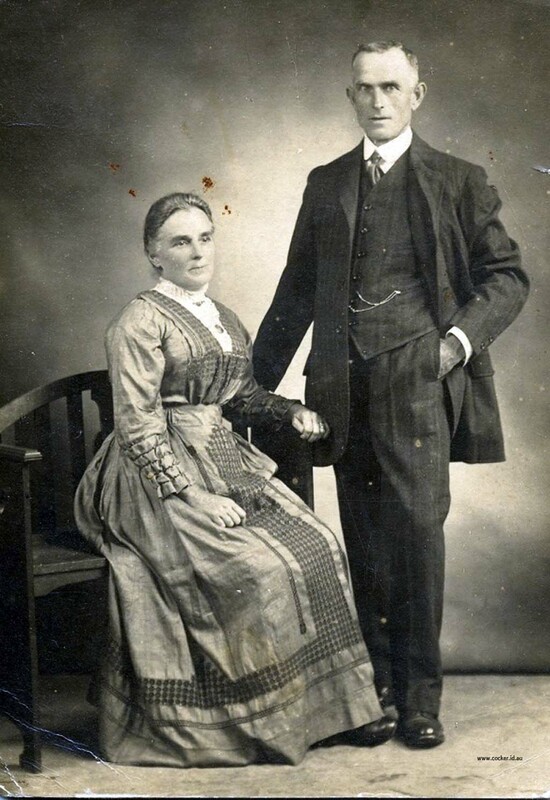 In September 1872, 16 year old Mary Jane (though the marriage certificate states she was 19), married 60 year old James Joyes and had a family of 4 children by him. In 1881 Emily was a charwoman but still living in James and Mary Jane Joyes’ household in Mare Hill Common. In the 1891 census she was a nurse in the Ayling household in Pulborough. Emily died in 1898, her death registered in the Thakeham area. In 1891, James Penfold was living in the Thakeham Workhouse. He died in 1899. The paternal side of Marjorie’s family shows, in the 1841 census record, Richard Vickers (born 1801), his wife Mary Campion and their eight children living in South Rauceby, Lincolnshire. Richard was an agricultural labourer. William (child # 4) was 8 years old, born in March 1833. The family stayed in the area for a number of generations. In 1861, Richard was a widower but still living in South Rauceby working as an agricultural labourer with his youngest son Joseph (b 1851). His name was recorded as “Riched Vickes.” The 1851 census for South Rauceby lists few Vickers, presumably meaning the pages have been misclassified. In 1861, William’s surname was spelt the same as his father – obviously the same census taker! He was married to Ann Bampton (in 1858) with a 10 month old child, Georg(e) and his occupation was agricultural labourer. By 1871, William and Ann had 5 children, the youngest being William Brampton (born in 1868). In 1874 William senior died, aged 41, leaving Ann to raise the children. In 1881, the census recorded that, as well as “scolar” William B living at home, older brothers George and John were agricultural labourers living at home in South Rauceby but the oldest daughter Sarah, born about 1864, had moved on as a “house maid domestic service” in the Thoroton household, who lived in a local house called ‘The Vicarage’. The son of William’s brother Robert (born 1873), Charles William also worked at the Vicarage (there is a picture of him with a pony cart dated 1913). In 1891, William Brampton was recently married to Rebecca Whyler (they married in the Oct – Dec quarter in 1890) and they were living in Ensor Mews, Kensington, in Greater London. His occupation was recorded as a coachman. In the next decade, William and Rebecca had five children, George William (1893), John (aka Jack) (1895), Wilhelmina (1896), Thomas Percy (1898) and Matilda (1900). In the 1901 census, William B was a coachman/groom, living in 44B Boones St., Lee in London. In 1911, William and Rebecca had moved to 2 Briars Cottages, Cuckfield in Sussex, near Balcombe. William and his son George were chauffeur drivers. No record of Jack can be found in the 1911 Census. William Bampton served in the British Army in World War 1, and at some stage he was the batman to Colonel John Henry Starkey. Colonel Starkey was in the Rifle Brigade in 1915 when he married. George also joined the Army (Army Service Corps - M2/035363) but was killed in action on the 14th March 1916. He is buried at St. Venant Communal Cemetery. The Army Service Corp was responsible for land transport of food, fuel, water and general stores. Jack joined the Army Service Corps as well and, given his regimental number (M2/035366), probably at the same time as George. Jack lied about his age to join. Jack was wounded in the war. He met his future wife Claudia in France and after the War ended he returned to marry, live and work in Belgium. He chauffeured a Baron von Weisberg and periodically returned to England in the “London Season” with the Baron. At the beginning of World War II he escaped Europe with his family as well as the Baron’s family. Thomas Whyler followed the family trade of chauffeuring in the Banbury area. He married a local girl, Doris and had two children, Dauphe and George. Like James Adams, he worked in the aluminium factory in Banbury in World War II. Wilhelmina married a Frank Webber and had a son Jack. The family lived in Welwyn. Frank suffered dysentery in the trench in WW1, and as a result was invalid for the rest of his life. At the time of George’s death in 1916, William and Rebecca had left Cuckfield and were, according to the War Graves record, living in Warwickshire, at Myton House Stables, Langley Road Claverdon, located in the same area as Edgehill, where the family would eventually put down deep roots. The Colonel and William must have struck up a good relationship, as William became the Colonel’s stable manager at Radway Grange, Warwickshire. The property is at the foot of Edgehill. William retired from the Grange and bought the duplex cottages Sunnyside and Hillside but died in shortly after retiring, 1938. Rebecca lived until the spring of 1961, dying aged 92. They are buried in Rapley Church. Matilda worked as a seamstress in Cuckfield in Sussex during and after the war, where she met James. She moved to Edgehill in the early 1920’ies to join her mother and father but, after 12 months of separation from James, they married in St Mary’s Church in Warwick and then settled back in Balcombe. 1861 Thomas was an agricultural labourer. 1871 The family lived at “The Hall” in Annesley, with Thomas still an agricultural labourer. 1881 The family lived in Annesley Woodhouse, Thomas is recorded as labourer. 1891 The village was unchanged, but Thomas was a “gardener, labourer, domestic”. Thomas died in 1905, while Elizabeth died in 1910. In 1891, Rebecca’s brother William was a private in the 3rd Battalion, Grenadier Guards, whilst her brother George was a carter. 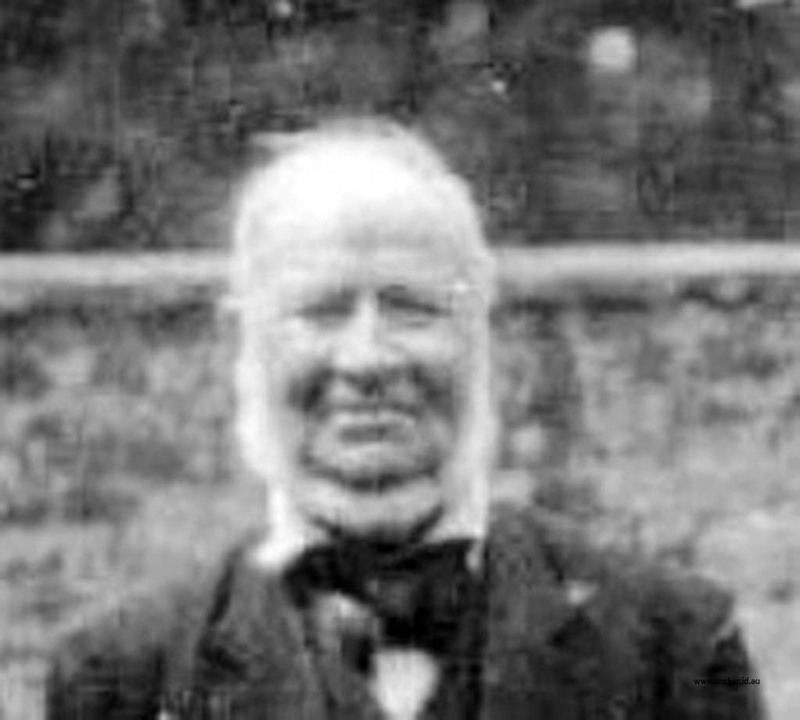 Thomas’ father George was born in Shelford, Nottinghamshire in about 1806, and, by the 1841 census, he married to Hannah, a local Shelford girl, and was the father of 7 children. George was an agricultural labourer at the time. In the next decade another 2 boys were born. By the 1861 census Phillip, born in 1848, had died and another son George was born in 1852. All the children apart from young George has moved on, some in the local area as a granddaughter Harriet was with the family. In 1871, George and Hannah were living in “The Vicarage” in Shelford with an unmarried daughter Esther (who was a servant in the household of farmer Charles Neale in Kneeton in 1861). Esther must have returned to Shelford to marry as she married later in 1871. George died in 1877, whilst Hannah died in 1891, after the 1891 census which recorded her as living by herself. Throughout the census records George was an agricultural labourer. Elizabeth Dovey was born in 1838 in Kirkby in Ashfield, Nottinghamshire, the 6th child of Edward Dovey (b 1800, died 1843) and Ann Eyre (b 1800). The 1841 census shows both Edward and Ann were “F.W.K” - frameworker knitters, that is operators of a machine which made hosiery. In the 1851 census the widow Ann was still in Kirkby and still working in the hosiery manufacturing industry. This is the earliest member of the family in an Industrial Revolution Age occupation.